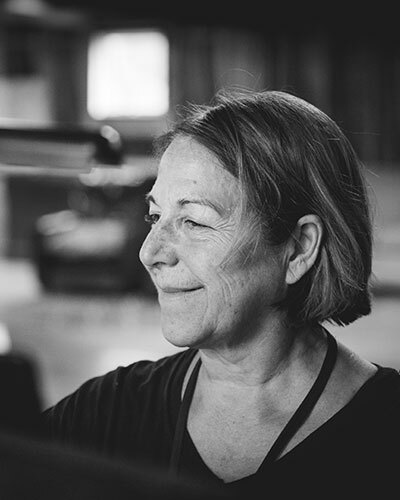 Conductor and pianist Shari Rhoads studied accompanying at the University of Southern California with Gwendolyn Koldofsky and continued her collaborative studies with Dalton Baldwin. She was a correpetiteur at the Gran Liceu in Barcelona, the Teatro de las Zarazuela in Madrid and assistant to Hans Dewanz at the Staatstheater Darmstadt, Germany. She became the second woman to hold the title of Kapellmeister and conducted opera in Darmstadt and the Luzerner Theater in Luzern, Switzerland. She was Montserrat Caballé’s private repetiteur from 1985-1987 and has accompanied many of the greatest singers of our days: Placido Domingo, José Carerras, Agnes Baltsa, Ghena Dmitrova, Ramon Vargas and Bo Skovhus. Miss Rhoads has appeared a guest artist at the Aix-en-Provence Fesitval, The International Musik Festival in Luzern, and the Beethovenhaus in Bonn, Germany. She was professor at the Conservatoire de Lausanne and the Musikhochschule Luzern. Miss Rhoads has appeared as a chamber music musician throughout Europe and the United States. She is the co-creater of “Szenische Gestaltung mit Mozart” and regularly works with young ensembles in Italy and Switzerland with stage director Georges Delnon. Shari has recently added musical theater to her repertoire and was musical director of Way Off Broadway, Sondheim Center, Skylight Music Theater in Milwaukee and with director/choreographer Pat Birch conducted Orphan Train at New York City’s Grand Central Station’s 100th anniversary cultural celebration. Miss Rhoads is the artistic director of the music consortium Concert IA.